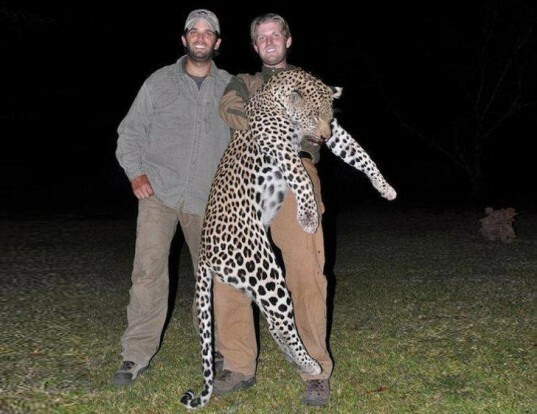 Real estate mogul Donald Trump’s sons, Donald Trump Jr. and Eric Trump, have come under fire after some gruesome photos showing them posing with a dead leopard and holding a severed elephant tail were released online (see them all here). The photos were taken during a hunting trip in Zimbabwe and originally posted on the Hunting Legends website. They were quickly denounced by PETA and other animal rights and conservation groups.